Plans will always remain mere plain plans until we turn them into goals. You succeed when long planned objectives leave the heart and mind and take shape in reality. Choose to commit actions, instead of just talking about them. Set goals, and make plans for your life, and never hesitate to go after them. Life's ways are peculiar, unpredictable and uncertain, just like a game of chess which requires planning, strategy and concentration to beat your opponent. Planning is making a schedule or arranging things in order that makes our job easier. Any job needs careful planning which is the first step towards achieving the goal. Before execution, planning the job helps to do it in an organized manner without causing any confusion. “A good plan is like a road map, it shows the final destination and usually the best way to get there” said Stanley Judd. Planning shortens the tedious travel and helps to reach the goal faster and more safely. A man who plans and executes is successful but to think that you can play after the execution is stupidity. Also, the plan should be thought of as soon as a job is at hand to be accomplished. ‘A good plan today is better than a perfect plan tomorrow ‘said George S. Patton. But it is crucial to plan after a lot of thought and once the planning are framed, we should stick to it firmly without deviating from it. 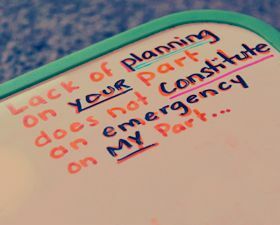 It is idiotic to believe that planning is unnecessary and everything will come by chance. These quotes on planning are very useful for students and those who pursue a career. Read them and share them with your friends.